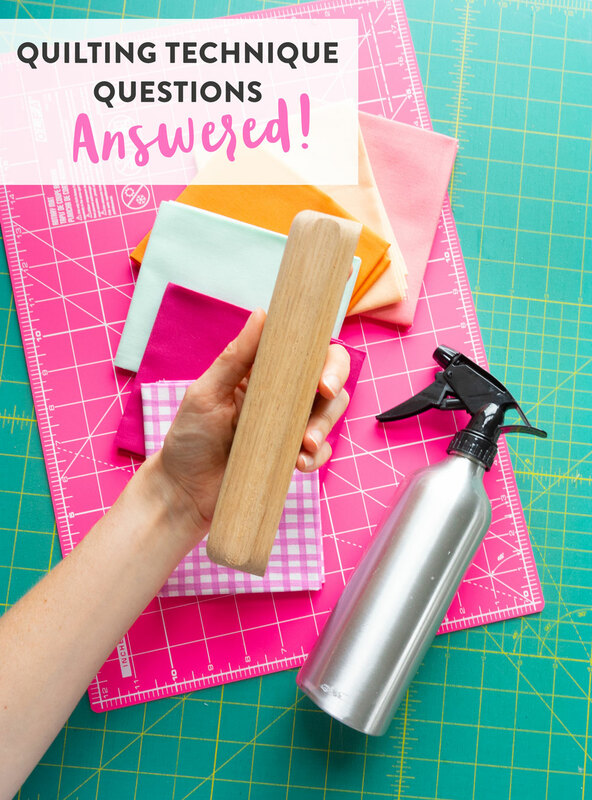 We’ve had two successful rounds of commonly asked quilting questions, but before jumping into round three, I asked on Instagram for more questions you’d like answered. I got so many good ones, I've decided to divide these posts into categories so that the information is more organized and digestible. 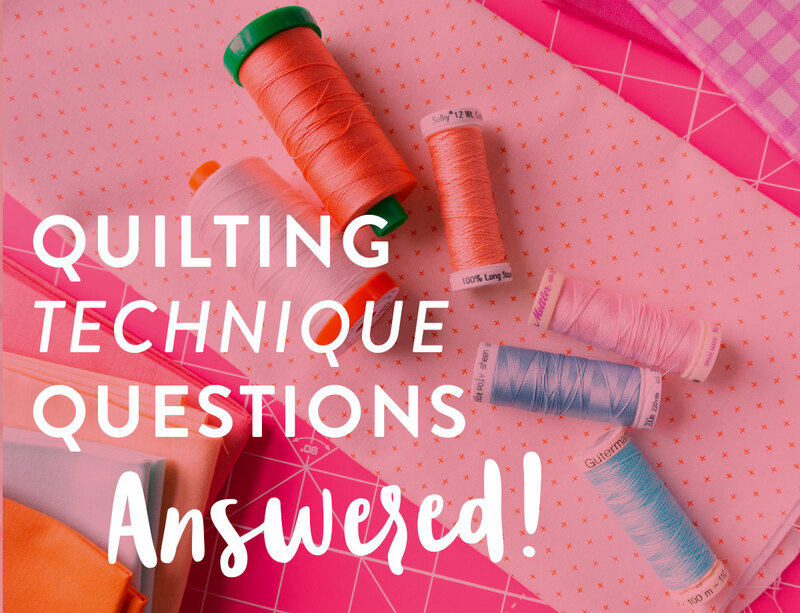 Today's post will focus on Commonly Asked Quilting Technique Questions. 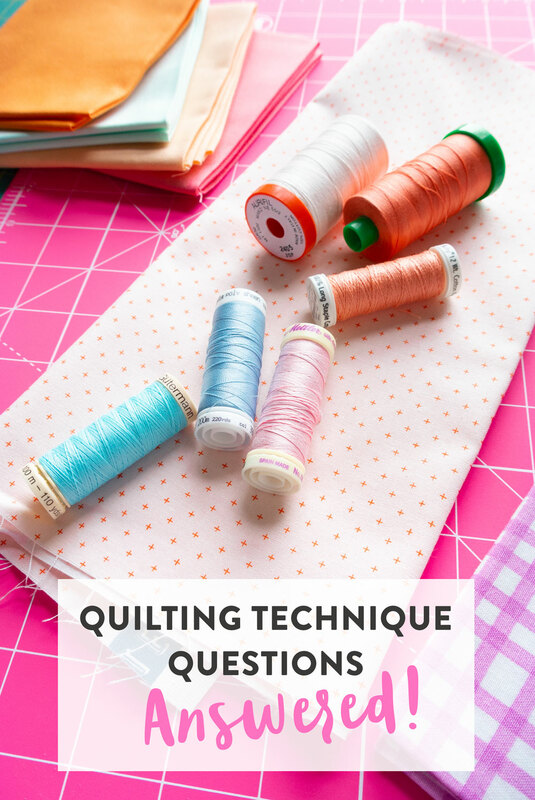 Don’t forget to check out Basic Quilting Questions Part I and More Beginner Quilting Questions: Part II. Also, if you have any questions you’d like answered, all you have to do is ask in the comments and I’ll tack it onto the running list. Q. What’s the best way to make exact cuts? A Ruler. Get a nice quilting ruler that is large enough for the area you are trying to cut. If you need a strip that is the width of your fabric (typically 42”), don’t grab an 8” square ruler. By the time you have moved that ruler 4 or 5 times to cut the pieces, you will have gotten off. A Sharp Rotary Cutter. No dull blades allowed. That’s how you get a worn out shoulder, sore neck, raggedy edged fabric, and wonky cuts. Pressure. Take all five of your sweet little fingers and place them on your ruler. Now presssss. If you are putting pressure on your ruler then that means it won’t move as your sharp-bladed rotary cutter slices away. 1. 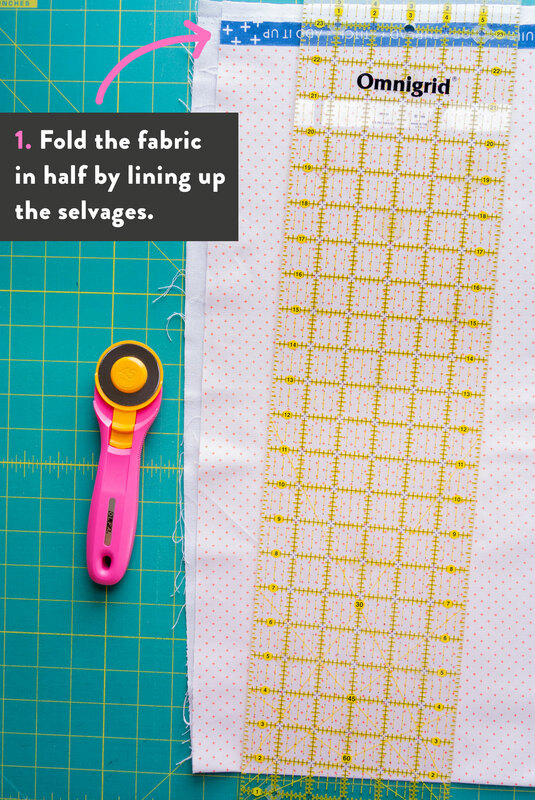 Fold the fabric in half by lining up the selvages. Slide the fabric around a bit until it hangs straight – this will help keep the fabric on grain. 2. 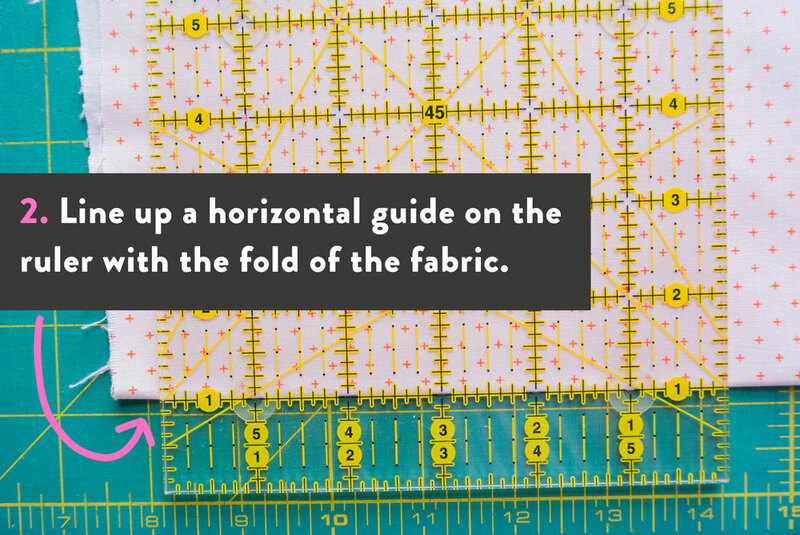 Line up a horizontal guide on the ruler with the fold of the fabric. 3. 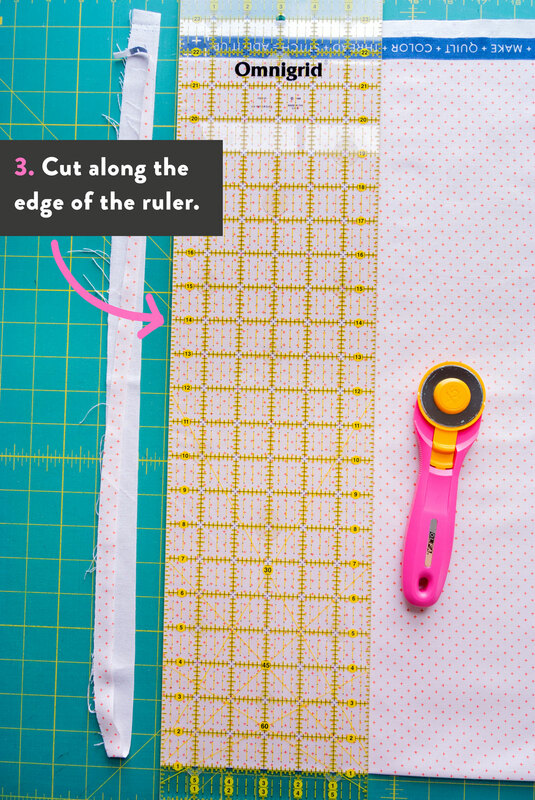 Put pressure on the ruler to keep it in place with one hand and cut along the ruler with a rotary cutter using the other hand. You can cut with your left hand or rotate your mat and cut with your right hand away from you. I am right handed and actually prefer to keep everything where it is and cut with my right hand towards myself, as seen in the video above. This is known as the "dangerous way," so proceed with caution. 4. 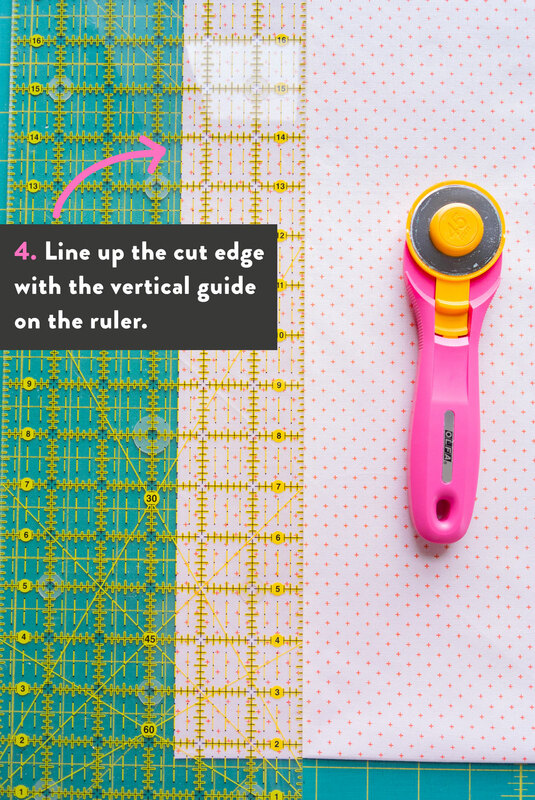 Line up the cut edge with the vertical guide on the ruler. Note: The fold is still lined up horizontally as well. Where you line this up will vary based on the size of the pieces needed. Eg. to cut 2 ½" squares, line up the edge with the 2 ½" guide. 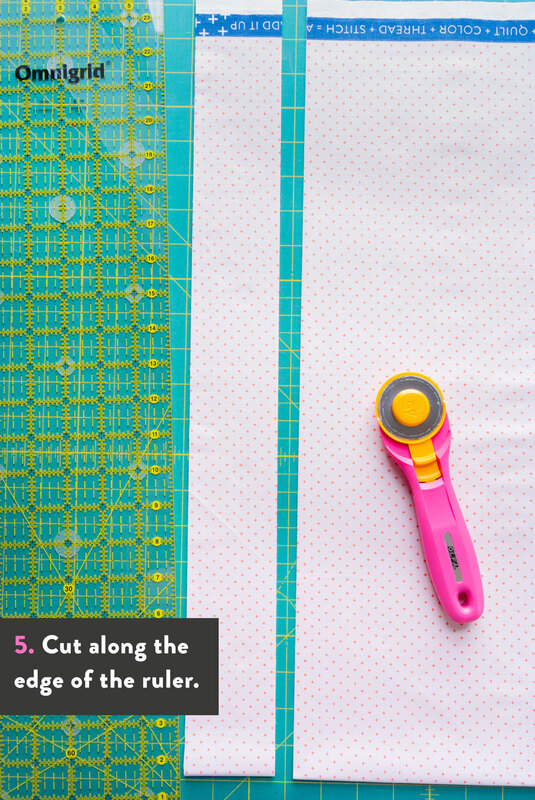 If you need pieces that are wider than your ruler, move the fabric to line up with the grid on your cutting mat and use those lines as a guide. 5. Cut along the edge of the ruler. 6. Use the same cutting technique to sub-cut the strip as needed. Tip! 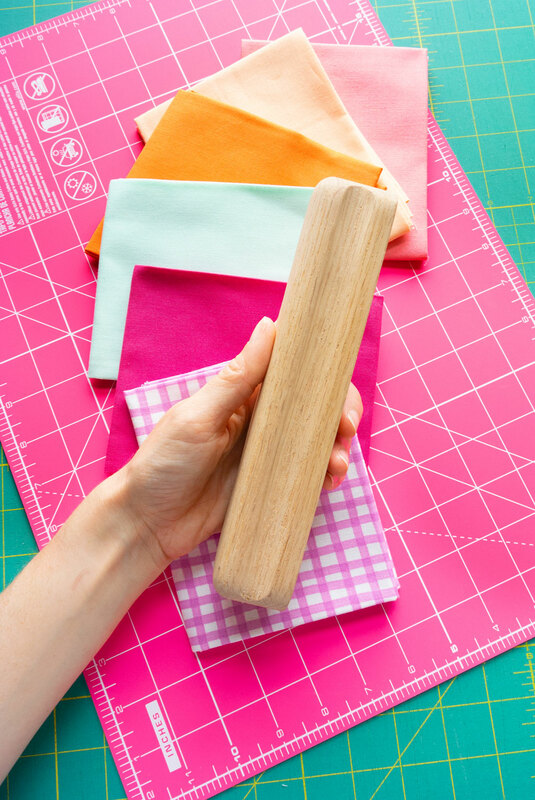 If you want to save time, keep the fabric folded in half and get two pieces with every one cut. You can also stack strips to cut multiple pieces at a time. Q: What do you do with your extra backing and batting after you trim it off of your quilt? A: With many of my quilts, once I trim the excess batting and backing, I’m left with long strips that are only a few inches wide. If that's the case, I toss the scraps into the waste bin. If the fabric is wide enough for me to salvage it for another project or maybe a hanging sleeve for the back of the quilt, I'll toss it into my scrap bin for future use. Q. Some of my seams are puckering. Why do you think this happened? Can I prevent it? Should I pick them out and try again? A: “Pucker up, sweetheart!” An endearing phrase to hear from a loved one, but has quite the opposite effect when applied to quilt seams. The pucker. The dreaded pucker. Let’s first start with why this might be happening. The simplest reason is probably the most likely – your quilt blocks are slightly different sizes so when trying to line up the edges one is ballooning a little while the other is pulled tight. If the difference in size is pretty small, you can get away with this through lots of pinning, and all will be forgive once you run a hot iron over the seam. However, if there was a ¼” or more of size difference, chances are you just secured yourself a sweet little pucker. Booo! But can you prevent this? Sure! The best way to stop a pucker before it starts is to square up your blocks so that they are as close to being the same size as possible. Stretch and pin. Similar to the bend and snap. Like I mentioned before, you can do a bit of stretching and a lot of pinning to avoid a major pucker. One block might look a little wavier than the other, but that’s ok. Give it a good press and I bet you won’t even notice. With blocks that have been stretched a little, I recommend skipping the steam – that tends to make the waviness look worse. Trim, but just a little. Is one block hanging off its neighbor a little too much? That’s OK. Give it a little snip. Just remember that trimming your quilt blocks can be a slippery slope and a lot like trimming your own bangs – you start with a little, and before you know it, half your forehead is on display and you can’t remember how you got there. The strategic pucker. There have been times in my life when pinning quilt blocks, and especially quilt rows, that the inevitable future slammed down in front of me, like iron bars of a castle gate – NO passage without a pucker! In those moments I chose to be bold. To be brave. And to proudly and strategically, plan my pucker. I think the best laid puckers are right at a seam. Can I tuck a little fabric exactly where two colors meet so that it’s 95% hidden? YES! 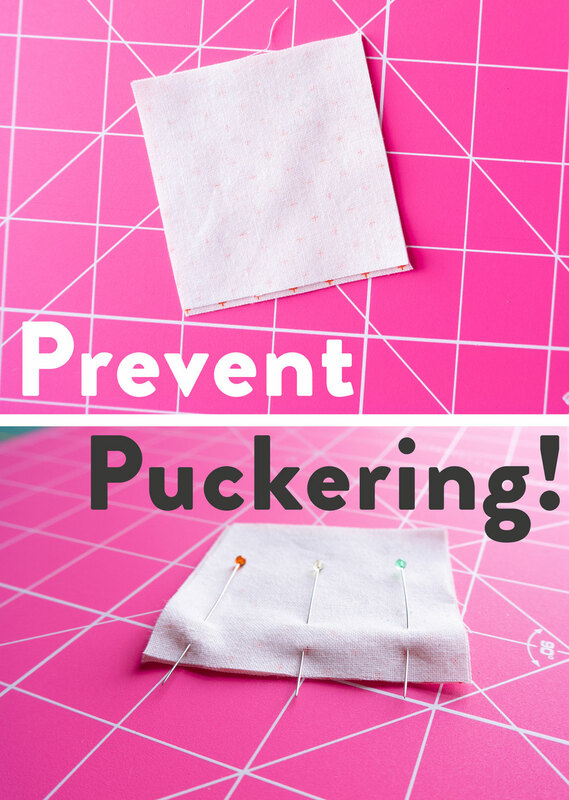 We’ve talked about why puckers exist and followed up with how to prevent and deal with them, but now to the heart of your question – should I pick it out? Quiltketeers, this is up to you. 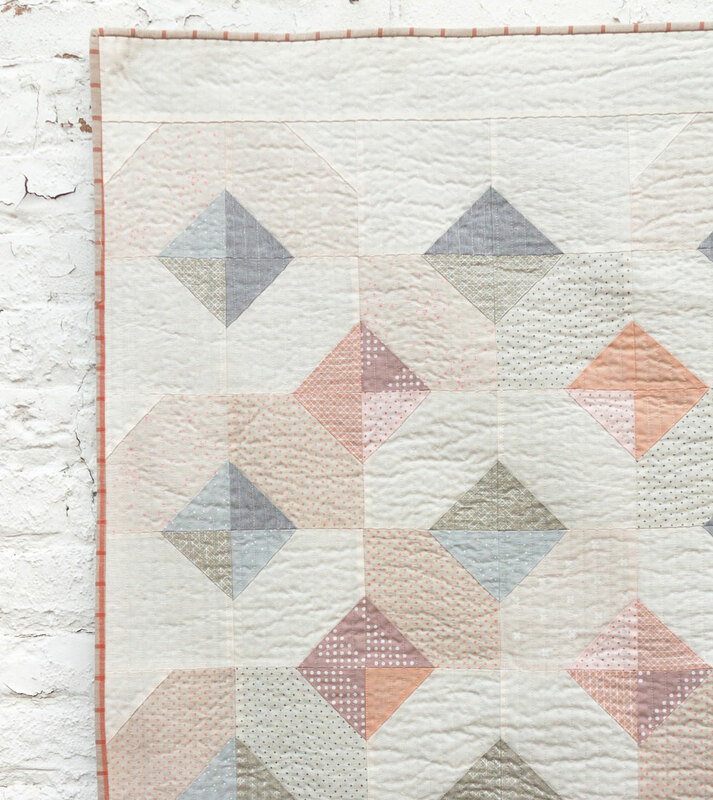 You’ve probably heard the adage “It’ll quilt out.” Puckers and small piecing hiccups are the kind of thing many quilters choose to ignore knowing that once all of the fabulous quilted texture is added, they will be easily missed and forgotten. Q: For piecing and machine quilting, which thread is better – cotton or polyester? A: That is very much a matter of opinion, because both technically do a great job. I’ve actually written two articles on this that I think you’ll find helpful. 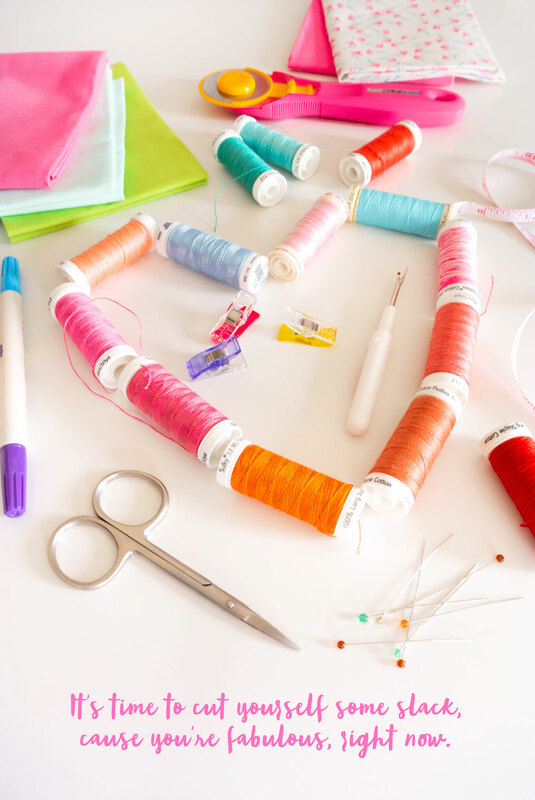 One is specifically on Cotton vs. Poly Thread and the other is on choosing the Best Quality Thread for your sewing project. Q: I am new to making quilts. How can I stop being so critical of my work, but still improve? A: The first part of my answer is to reach my arms through your computer screen and give you the biggest, squeeziest hug. Now let me tell you a Truth. Are you listening? The more you do something, the better you will get at it. Progress may feel slow, and sometimes you may take two steps forward and one step back. And sometimes you will be sewing your 80th quilt but still manage to misread your own pattern instructions and completely ruin a full yard of fabric (uhum...pointing to myself), BUT you are always learning and always growing. If the word yes or even sometimes is scratching at the back of your head, it’s time to cut yourself some slack, because you’re fabulous, right now – not 5 years from now, or 20 years from now. Right now. Q: I have lots of leftover starched fabric. In your blog post about starch you say not to store starched fabric. So what do I do? 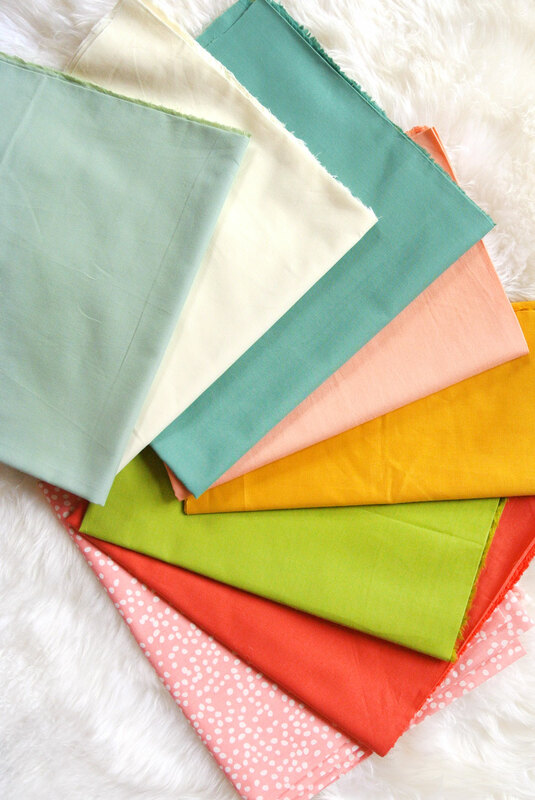 A: In that blog post I recommend not starching and storing because once your fabric is starched it will hold on tight to creases made by folding. As an example of this, think about fabric fresh from the bolt. That center crease is always such a pain to iron out, right? However, with lots of steam or a wash, it will eventually disappear. So as much as possible, only starch the fabric you are actually going to use. However, that’s not a very helpful answer if you already have lots of starched fabric. What to do? Just fold it up like you normally would and prepare to tack on a little more time for ironing next time you pull it from your shelf. In no way will the starch ruin the fabric – it will just make ironing a little more tedious. Q: When you starch, do you starch every time you press a seam or only at the end? A: How I use starch has changed a lot since I discovered the Tailor’s Clapper. I used to claim that starch was the best way to get a perfectly flat seam. Now, I use starch in a preventative way and then my Clapper in an in-the-action kind of way. What I mean by that is, if I'm going to be sewing curves, bias edges, or small, finicky pieces, I spray starch all over my fabric during my initial ironing – before cutting. For the most part, I then put my starch away and move to my spray bottle of water. When I'm pressing seams, I use my spray bottle, iron, and Clapper to get those crisp, flat seams. MUAH! Perfecto! Q: After a quilt top is finished, is it important that I press all of the seams from the right side of the fabric? A: Some quilters would say that after your quilt top is finished it is very important to throw the whole thing over your ironing board and give it a good final press. I say….meh. If it’s not wrinkled, why press it? If you haven’t folded up your quilt top and things are still looking pretty flat, I’d just move on to the basting phase. You can actually run an iron over stubborn wrinkles while it’s flat on your floor! The above quilt is the Bohemian Garden pattern. Get it here! A: Quick catch up on those who are unfamiliar with the phrase – Always press to the dark [side]. That means rather than pressing the two sides of your seam open, you are pressing them both toward the darker fabric so that the seams are more likely to be hidden once the quilt has been quilted. Oh yes oh yes! You know me – full to the brim with tips! My biggest one is “press, don’t iron.” I go into this in more detail in the answer to the “How to prevent wavy edges” question in Part 1 of this series. Thanks again for all of your insightful quilting technique questions. Next week we'll take a short break to give you a really sweet treat (it's a free pattern! ), but after that we'll be back in action with more Q&A. Don't forget to comment below with added tips and questions! Hey Suzy! I have a question to add to your list! My sewing machine doesn’t have one of those fancy buttons that cuts your thread or locks your stitch (hello beginner! ), so how do I finish quilting my line if I’m somewhere in the middle of the quilt?? 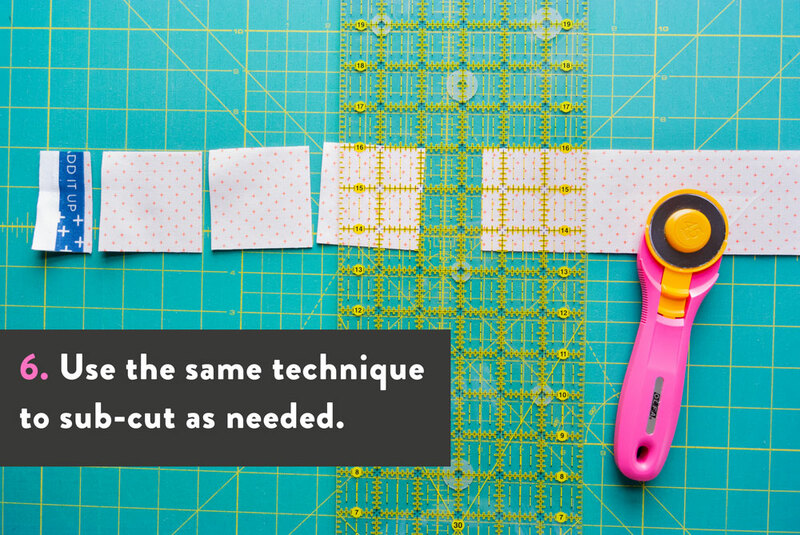 I actually have a fancy sewing machine that does both of those things, but when it comes to finishing a line in the middle of a quilt, I opt to use neither of those functions for a much better technique. I think it deserves a video…or maybe just a lot of pictures…Consider this added to the list! I plan on creating a whole section for machine quilting questions. As a fellow machine quilter I cant wait as I’m sure I’m doing it wrong! I would like to hear more about this, too! I am so blessed by this post! Thanks so much! Thank you thank you thank you thank you!!! The cutting demo photos are perfection!! They perfectly answer my question! Thank you so much for taking the time to document your work and to answer all of our zillions of questions. You are such a gift! I’m seriously considering printing this post out as reference on my cutting table! Love reading your articles! Not only are they informative, interesting, and up to date, but they are full of fun! Your sense of humour is a blast to read! Keep it up Suzy!! I’m on my 8 th quilt (but who’s counting!) and found this so helpful. I just finished an English Paper Piecing class and turned on fellow piecers to your blog amidst a discussion about thread. Thanks! I’ve been quilting for about a year now. Your Weekend Candy pattern was my gateway drug, got me hooked! I would love to hear any thoughts about improving as a quilter. What skills should I be practicing, working to master, mostly sewing wise. I just took a class and and the pattern included half square triangles and now new worlds have opened up. What other techniques can I be learning? I would love to hear some advice on how to choose quilt projects that will push my skills forward. Your work is so inspiring. Thanks for sharing your talents. You can do lots of things with half square triangles! Now that you’re familiar with them, I bet you’ll start seeing them in lots of patterns. If you’re looking for a challenge, try adding different shapes to a quilt that uses strips and HSTs. One example is the Mayan Mosaic quilt pattern. Thank you for sharing your expertise, learning is something I continue to do even though I’ve been sewing for over 30 years. I have every pattern you’ve published except Magpie and it is in the budget for next month. Winter will be here before we know and I will be sewing a storm up. To hold my fabric from slipping as I am strip cutting, I place a 5 lb. weight at the top of the ruler (half on the ruler, half off) and this really helps. Wish I knew to do this years ago. So smart! That would really take the pressure of your shoulders. Hi! I’m learning so much from these quilting sessions! I’d like to start mixing up my quilting (other than going edge to edge) but how do you machine start and end, say, a quilt block located in the center? Do you bury your threads, back stitch, lock stitch, just snip the front and back, tie a knot, etc? 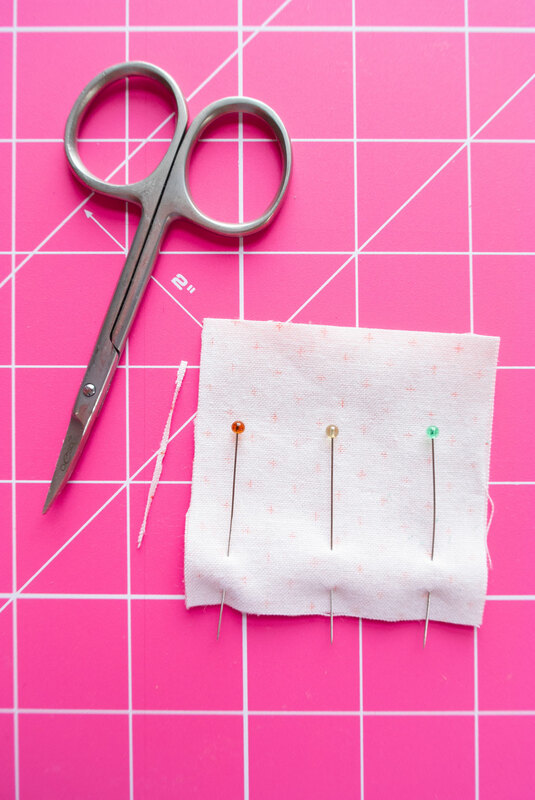 Depending on how much you care about precision, you can either backstitch and snip your threads or you can leave a long tail where you want to stop. Then when you’re finished quilting, take about 10 minutes and go around and bury all of those tails. Here’s a helpful video on how to do that. 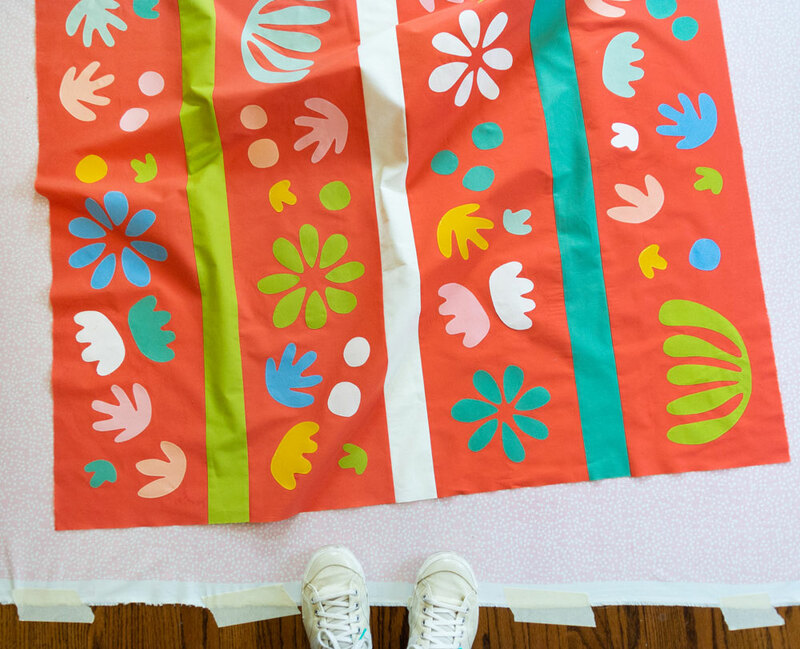 Most quilters do, in fact, sew their appliqué pieces to the quilt top before quilting if they do not want the stitches to show through all three layers. However, I’ve appliquéd a couple different quilts and turned the appliqué sewing into the machine quilting. My Hidden Garden quilt and Bohemian Garden quilt (in jersey) are examples. If you go to that same Bohemian Garden post, you will see that I also made a baby quilt using quilt-weight cotton. In that case, I machine stitched around the perimeter of each appliqué piece and then basted and quilted. Hey Suzy! Thanks for all the valuable information. I have learned so much from here. The cutting demo photos are perfection! I am so blessed by this post! Your sense of humor is a blast to read! Keep it up Suzy! Hello Suzy, I’m attempting your weekend candy quilt as my first quilt and a baby gift. What would you suggest as the simplest way to machine quilt the candy quilt? Thank you! Thank you! I’m definitely nervous as a new quilter about messing it up! I’ll try the 1/4 inch away from the edge of each piece, starting from the edge. Maybe I’ll even avoid backstitching or having to burry the tails by sewing from the edge and only stitching around three sides of each piece. If I do want to try some hand stitching in an accent color, do you have any suggestions? I love your site; thanks again! I’ve been sewing for over 60 years but have been quilting for only the past two and I’m now hooked – I simply love the process and the end results. I was terrified of FMQ at first but it’s getting easier and easier. Not perfect mind you, but there is no such thing as perfection and there are no quilt police! So I’m just content to keep going and improving a little at a time. Your thoughts about not being too critical of oneself are very encouraging. I never knew about starch and fabric storage but I DO know how hard it is to get the fold out of new fabric – g-r-r-r! I used to use starch but hated the mess on my iron and sometimes my fabric so I switched to Best Press. Love this stuff! Yes, it’s expensive, so I buy it by the gallon when it goes on sale (better for a retiree budget). It really helps me make accurate cuts. Thank you VERY much for all of the good advice.